The better prepared your seed bed, the better your results will be. First and foremost you should have your soil tested to determine the fertility and pH (soil acidity) of your wildlife plot. Testing can usually be done by your local Co Op or you can purchase a test kit from our website. 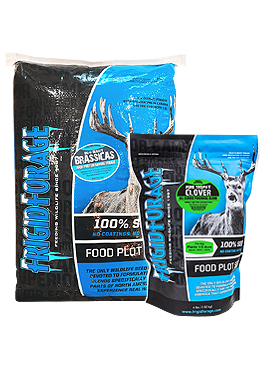 Look at is as providing food for your deer plot, you need to feed your plants properly if you want them to flourish. Existing vegetation should have been eliminated and the soil should be tilled or loosened at least 4-6”. Spread your fertilizer accordingly to what you are planting in your deer food plot. Apply pelletized lime at this time. Note: If you are using agriculture lime it, needs to be applied a few months earlier to take affect. As a final step before planting, use a disk and/or a drag or even a section of chain link fence to work in your fertilizer and to smooth out your whitetail food plot. Many of the seed blends contain very small seeds and if planted too deep they will not grow.